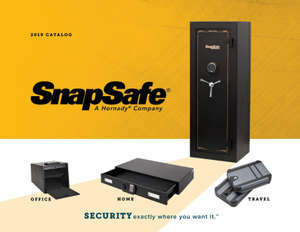 Protect your valuables against rust and corrosion by utilizing this SnapSafe® Canister Dehumidifier. When the cap indicator turns pink from moisture, the canister is ready to be recharged. To recharge: place unit in the oven at 325ºF for two hours. Unlimited recharges allows for a lifetime of use. Prevents moisture that can cause rust and mildew in isolated areas like gun safes, cabinets and closets. Indicator system with built in signal to inform user when unit needs recharged. Small, lightweight and requires no batteries. Unlimited recharges ensure a lifetime of use.